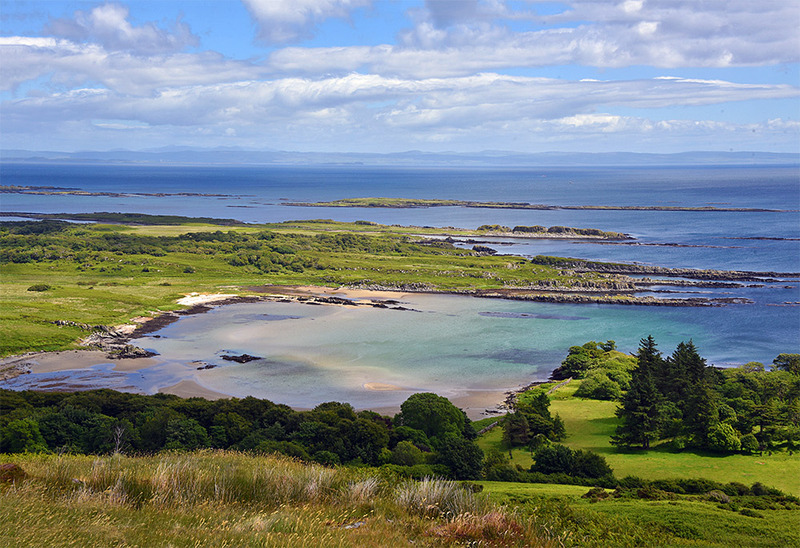 A view of Ardilistry Bay on the south coast of Islay from Fairy Hill (Cnoc Rhaonastil, 109m). 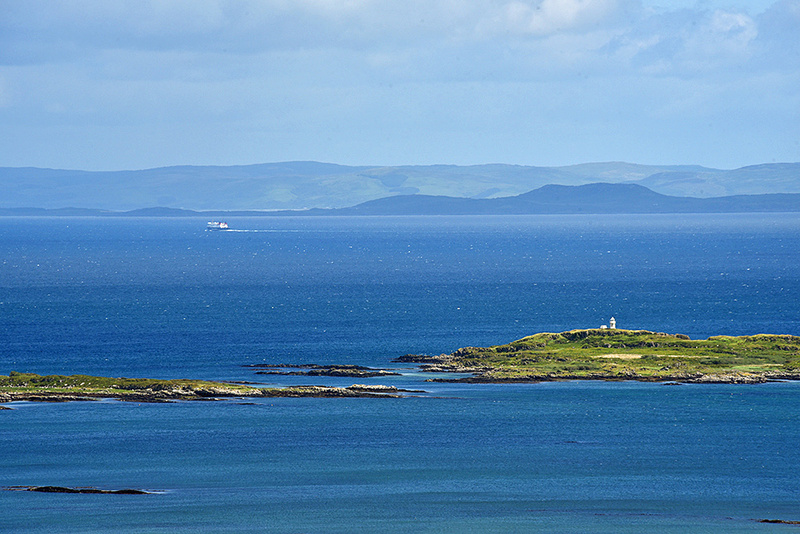 Part of the Southern Skerries behind it, also Gigha and Kintyre in the distance across the sea. A view out from the summit of Fairy Hill (Cnoc Rhaonastil, 109m). Eilean a’ Chùirn with its small lighthouse on the right. The Islay ferry MV Finlaggan on her way to Kennacraig in the distance on the left. 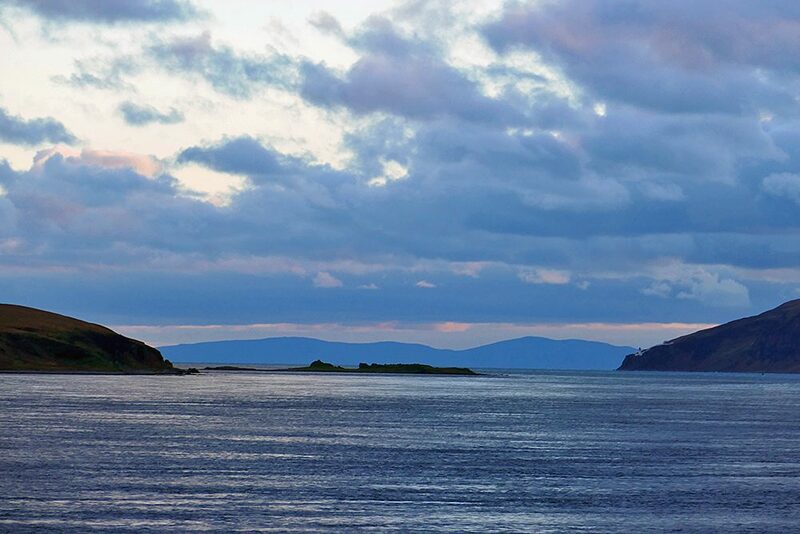 On the horizon the Isle of Gigha with Kintyre behind.